Objectives : To study the association between women's exposure to marital physical violence with self-reported obstacles to use health facilities, and coverage by medical insurance. Material and Methods : This study was conducted on the 2005 Egypt Demographic Health Survey (EDHS) data. A subsample of 5249 currently-married women were investigated for both ever and the 12 months prior to survey exposure to physical violence by their current husbands, and its association with self-reported obstacles to use health facilities and coverage by medical insurance, adjusting for respondents' age, education, work, residence, wealth index, number of children ever borne, and empowerment in household decisions. Results: A total of 57% and 56% of women reported lack of healthcare provider and lack of drugs as obstacles to use medical care, respectively. Only 14% were covered by medical insurance. Around 29.4% of the studied women had been ever exposed to physical violence by their current husbands; of them 60% had been subjected to it in the 12 months prior to the survey. Logistic regression models showed that exposure to physical violence predicted reporting of the aforementioned two obstacles. Physically abused women were significantly less likely to be covered by medical insurance. Only a small proportion of women: those working, of higher education, higher wealth index or older age cohorts were medically insured. Conclusion: Extending the umbrella of medical insurance along with finding remedies to the existing obstacles of medical care in Egypt would play a significant role in both health sector reform and management of violence against women. Several neurological diseases have been associated with Human Immunodeficiency Virus (HIV) infection. These could either be a direct result of the virus (HIV associated dementia and HIV related painful distal polyneuropathy) or of opportunistic infections or neoplasm. HIV related neuropathy is one of the most common neurological complications of HIV infection. There are various forms of neuropathy in HIV patients which can be broadly classified into: (i) distal symmetric polyneuropathy (DSP), (ii) mononeuropathy multiplex (iii) acute and chronic inflammatory demyelinating polyneuropathies (iv) lumbosacral polyradiculopathy (v) diffuse infiltrative lymphocytosis syndrome (DILS) (vi) autonomic neuropathy, mononeuropathies (vii) herpes zoster radiculitis and (viii) sensory ganglioneuritis. DSP represents the most common form of neuropathy seen in patients with HIV and affects about 30% of patients. Pathologic findings of DSP occur in almost all patients with advanced immunodeficiency at autopsy. However, with HAART, the incidence of DSP appears to be decreasing compared to the pre-HAART era. Some studies show a substantial increase in the prevalence of DSP and this may be related to an increased longevity of patients and neurotoxic effects of some anti-retroviral drugs. Anti-retroviral toxic neuropathy (ATN) occurs with the di-deoxnucleoside group of drugs (DDI, stavudine, and DDC) and is thought to be the direct neurotoxic effect of the drugs. The two forms are clinically indistinguishable and present in a length dependent axonal polyneuropathy. DSP and ATN cause devastating complications and are related to poor treatment compliance. The objective of this review is to update current knowledge in the two main forms of neuropathy in HIV infection. We believe that physicians practicing in highly HIV prevalent areas (Sub-Saharan Africa and other developing countries) need to look for these complications in their HIV patients and manage them accordingly. Hydatid disease or echinococcosis is an endemic disease in cattle grazing and developing areas, particularly Australia, New-Zealand, Middle East, India, Africa, South America, and Turkey. It is a parasitic infection caused by the cestode Echinoccocus granulosus. Dogs are definitive hosts, and adult worms are found in their small intestine. Humans, the accidental intermediate hosts, get infected either by contact with the definitive host or by consuming vegetables and water contaminated with the hydatid ova. 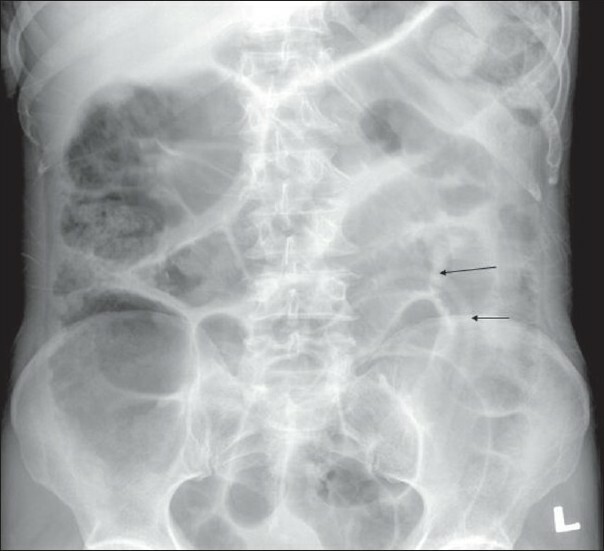 In humans, the hydatid disease commonly involves the liver (75%) and the lungs (15%). Despite the abdomen bearing the brunt of this disease entity, it is an extreme rarity to encounter its multivariate presentation in two pure vegetarian, non-sheep rearing, and economically sound individuals, from an urban area. We report two such cases who presented to us in the Emergency Department, within a short span of each other (one week), along with the relevant literature review. 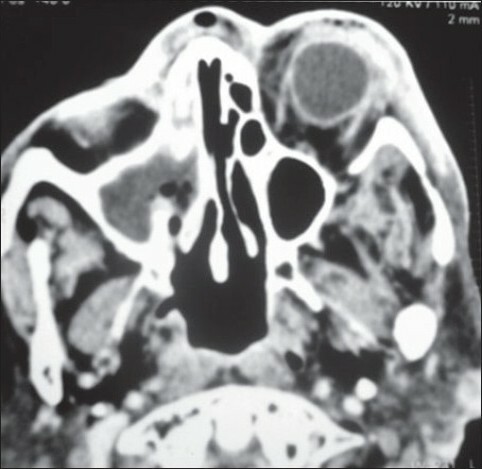 A 55-year-old diabetic female presented with persistent headache, bilateral nasal blockage, common cold and nasal discharge since 10 days. The patient also complained of bilateral nasal bleeding, anosmia and ptosis of the eye since the last five days. 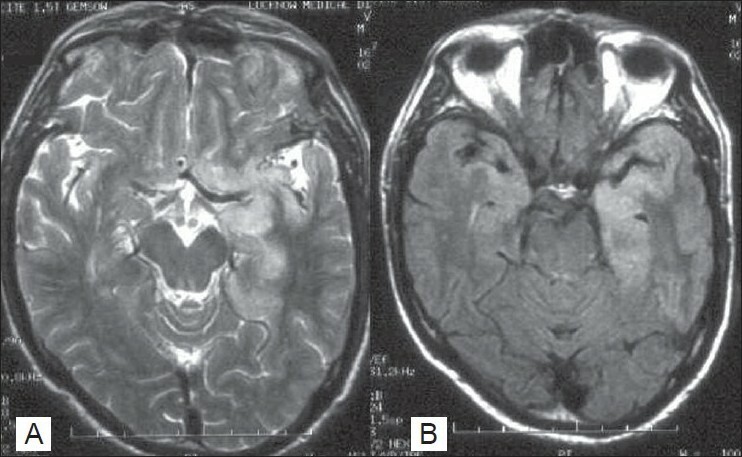 Clinical diagnosis of rhino-orbito-cerebral was confirmed by computed tomography (CT) scan of paranasal sinuses and brain. The diagnosis of fungal infection due to Rhizopus species was confirmed by Potassium hydroxide (KOH) examination, Hematoxylin and Eosin staining and Gomori's Methenamine Silver Nitrate staining on mucosal biopsy, followed by culture on Sabouraud's Dextrose agar. Surgical debridement was done and intravenous Amphotericin B was administered to the patient, who responded well to the treatment. Kimura disease is a benign disorder, usually presenting with unilateral lymphadenopathy and subcutaneous nodules in the head and neck region. It has no potential for malignant transformation. Spontaneous involution is rare and the main concern is its capacity to grow and cause disfigurement. We present a case of a young female presenting with unilateral, chronic, cervical and axillary lymphadenopathy. The diagnosis of Kimura's disease was established only on histopathology of the excised axillary lymph node. Common variable immunodeficiency (CVID) is one of the most prevalent and heterogeneous group of immunological disorders of unknown etiology, commonly associated with recurrent bacterial and protozoal infections. Viral infections in CVID are uncommon, as cellular immunity remains normal in it. Central nervous system involvement, related to viral infections, is an important, rare, and usually fatal complication occurring in the later phase of this disease. The herpes simplex encephalitis (HSE) in primary immunodeficiency states and related disorders have been infrequently reported. However, its occurrence in CVID per se is not known. We report a case of CVID, complicated by HSE, highlighting that in addition to bacterial infections and chronic enterovirus infectious meningoencephalitis, it may also be associated with acute viral encephalitis. Malaria remains a major problem with the significant public health dimension affecting hundreds of millions of people annually, mainly in sub-Saharan Africa. The effectiveness of the measures currently used to control the disease is now drastically reduced because of the development of parasite resistance to the anti-malarial drugs and vector adaptation to the insecticides. On account of this development, efforts are ongoing to develop a malaria vaccine to help in the prevention of the disease as well as in reducing the severity in patients. Drug research and development have always raised a lot of ethical issues, especially in the context of developing countries like those of sub-Saharan Africa. This article discusses some of these ethical dilemmas using a template based on the four principles of biomedical ethics.